If you think the candidate you are interviewing is good, so does your competition. | APOLLO STAFFING, INC.
One of the questions we hear on a regular basis is how do I attract, hire, and keep great talent? We are firm believers that the best retention policy is a strong recruitment policy. Today’s quality talent is in very high demand. The key is to build a great team by hiring the right candidates. The process of landing the great talent starts even before the interview. Candidates are going to do their homework and check out your company. They will look at your website, check your Facebook and Twitter accounts, Google the company, and finally see who their connected to on LinkedIn that works for you. The key take away here is to ensure your online presence says “Come work for the greatest organization in the area!” What does your online presence say? 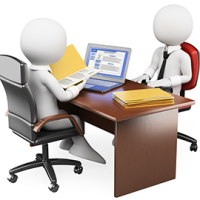 When it comes time to interview the candidate, be concise and efficient. 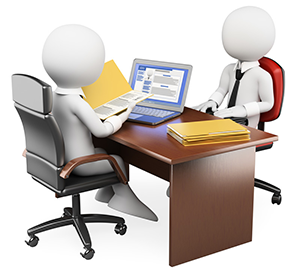 If there are multiple people to interview the candidate, have them all available at the first in-person interview. Candidates do not want to have to take multiple days off to go through the interview process. Make sure they are greeted and welcomed to your office. Don’t make them wait an extended amount of time. Let them know you value their time and are excited to speak with them. Treat them very much like you would a key customer. The next step may just be the most critical – move quickly. I cannot stress this point enough: Top talent does not stay on the market long. If you identify a candidate that you want to join your team, make your very best offer – the first time. Directly communicate with the candidate and let them know how excited you are to have him/her join your team. It is a quantifiable fact that Top talent will have multiple offers to choose from. The offer they decide to go with does not always come down to the money. Top talent wants to be part of a winning team. Make them feel appreciated and impress them during the interviewing/recruitment process and they will view your offer in a superior light. It’s a candidates market – Impactful talent is at a premium. Let Apollo Staffing help you land the very best talent; the talent that makes a difference for your team and your customers! The RIGHT Talent is interested in speaking with you, but how do you connect with them?